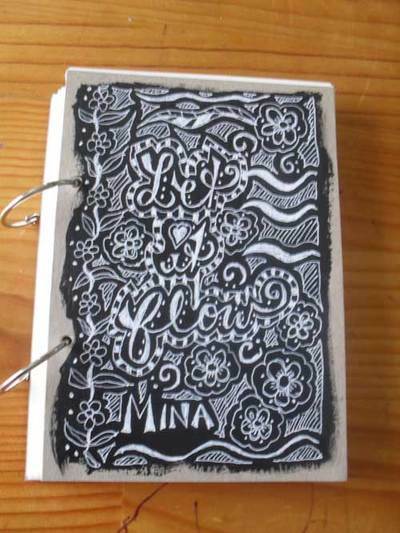 A couple of cheap books of card to make greeting cards with ended up as a journal instead! 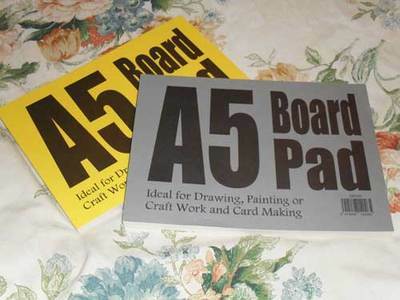 Fold the A5 paper in half to act as a guide for hole placement. 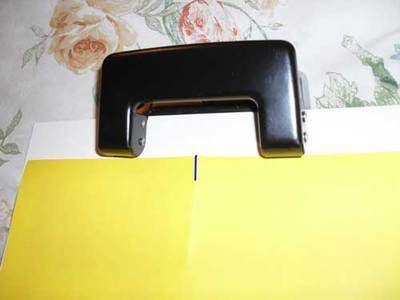 Open up the paper, mark the midpoint and hold it against the A5 card to guage where you should put the holepunch to make the holes. 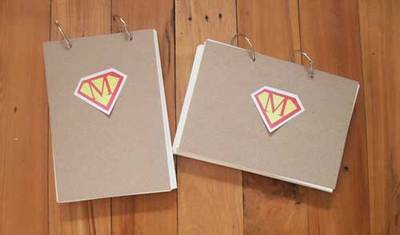 Use the end cardboard pieces as covers for your journal. 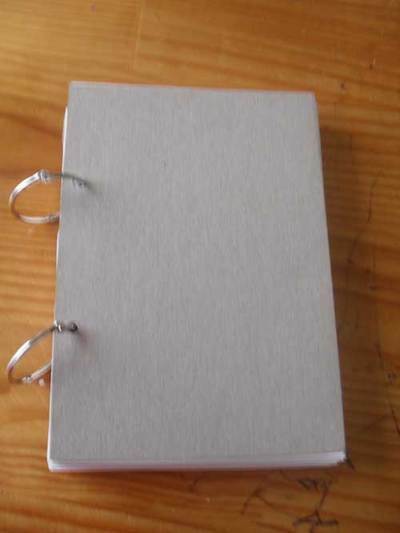 Open up the binder rings, put your pages in and close rings. Done! A blank book to make your magic in!